Joan Clark’s novel The Birthday Lunch (Knopf Canada, July 2015) tells of a birthday lunch that goes wrong. 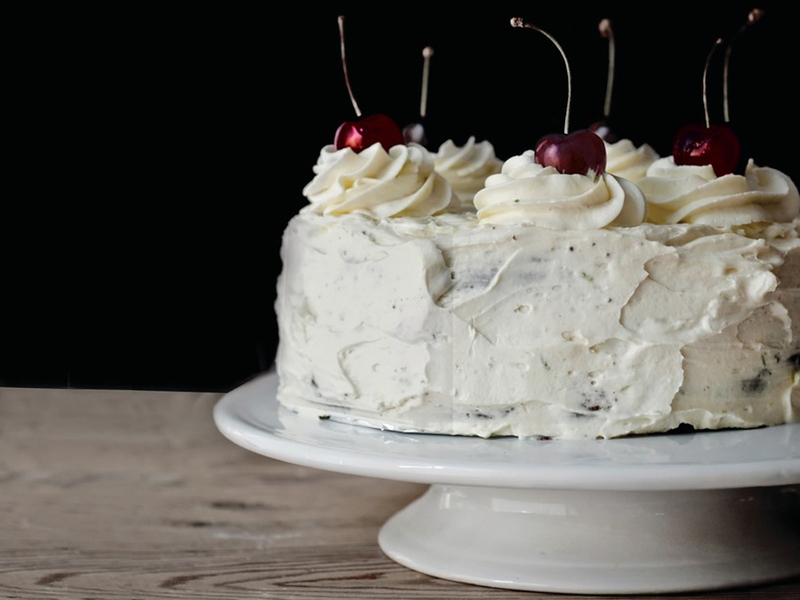 And the lavishly iced cake on the book’s cover, with its luscious cherries, is not a cake eaten at that lunch. Rather the image hovering over this novel is the haunting domestic scene in Peter de Hooch’s “Woman with a Child in a Pantry” c.1656-60; one that’s all about perspective on the domestic scene. After all, one understands family only through one’s own particular lens. However the heart-warming turning point meal of this novel provides for Canadian readers a contemporary version of Virginia Woolf’s “boeuf en daube” dinner scene in To the Lighthouse. The McNabs gather at one point together with their estranged family members and with all the inevitable regrets and recriminations that are the baggage of human lives, over a family dinner. For this particular meal the menu is roast pork, but as with any good meal “the stories keep coming” (244), bringing with it apologies given and accepted, and invitations to yet more meals to be shared. This meal turns the tide of the novel, from despair and grief to the potential of human forgiveness and connection. This entry was posted in The CanLitFare Blog and tagged Birthday Cake, cake, Canadian Literary Fare, Canadian literary meals, Canadian Literature, Joan Clark, New Brunswick literature. Bookmark the permalink.